This problem, of course, is not new. In 1995, Betty Hart and Todd R. Risley published their groundbreaking research study that uncovered the widely cited 30-million word gap between children from low-income homes and their more economically advantaged peers. Not only does that gap still exist today, it’s becoming more prevalent as the poverty rate climbs. The bottom line is that if children from poverty are not achieving more than one year of academic growth in a school year, they’re failing — and we as educators are failing them. There’s a persistent misconception in our education system that struggling students lack effort. The reality is that many simply need to build their cognitive capacity. Without this, students have no chance of catching up. Cognitive capacity is a core skill. It’s not about a child “trying harder.” It’s about getting a child’s brain to work more effectively and efficiently. Cognitive capacity is the sum of our concurrent mental actions that learn, process, understand, judge, recall, evaluate, calculate, reason, solve problems, reflect, and make decisions. Greater cognitive capacity is correlated with enhanced student learning and achievement. And the good news is that cognitive capacity can be taught. Students do not arrive at school “preassembled” by their DNA. Instead, they are “glued together” by life experiences. By the time they reach school age, the brains of children born into lower socioeconomic status (SES) households are different from those raised in higher SES households. These differences include the areas of the brain responsible for working memory, impulse regulation, visuospatial skills, language, and cognitive control. 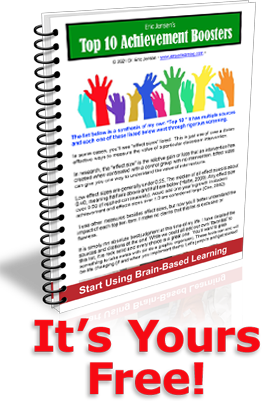 Neuroplasticity, or brain plasticity, means that the brain can change throughout an individual’s life. This means that a child can be influenced by good teaching and good instructional programs. This also means that good schools can, in fact, raise a child’s IQ. This is important because unless students from poverty make at least one to one-and-a-half years of academic progress for each school year, they may drop out. So, to be effective, teachers must be more than “average” for students from poverty. Thus, teachers matter more than poverty — and the most successful teachers are those that teach cognitive capacity. Research by other experts demonstrates that cognitive skill-building can yield impressive effect sizes as well. For example, working memory training or auditory language strategies can yield gains equal to 1.5 to 2.5 years of progress in a single school year. Working memory is, in fact, the number one predictor of a child’s learning success. It’s a greater predictor than a child’s reading or math scores, or their motivation or a positive attitude. So, unless teachers and schools have a reliable way of building working memory, students will continue to struggle. Why? Working memory is the driver of cognition. It is required for every higher-order thinking process. 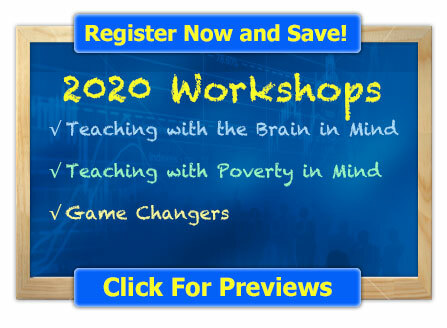 Research shows us that students in poverty have weaker working memory. But it is teachable. This is where technology can help. To build working memory, we must engage the rules of neuroplasticity. To change the brain, skills must be presented to the student, with increasing challenge and complexity. Students’ brains also need error-correction. Then, once they get something right, they need practice to make it stick. Sounds kind of like a video game, right? The best formats for building working memory are, in fact, game-like. Neuroscience-based programs such as the Fast ForWord program, which is supported by more than 250 research studies, can help by building a child’s memory, attention and processing speed — cognitive skills need for better reading and learning. Rather than simply providing accommodations, it addresses the root cause of students’ difficulty — the underlying issues that keep struggling students from making progress in school. Solving problems systemically in our schools means anticipating and addressing issues with children living in poverty, since they now represent more than half of the students in our public education system. Implementing proven programs to help children develop cognitive capacity — which is necessary for learning in all subjects and grade levels — is essential to move forward and it must be done quickly. Our children’s future and our nation’s future are at stake. Thank you for the information on working memory. I had not heard this highly important strategy before.